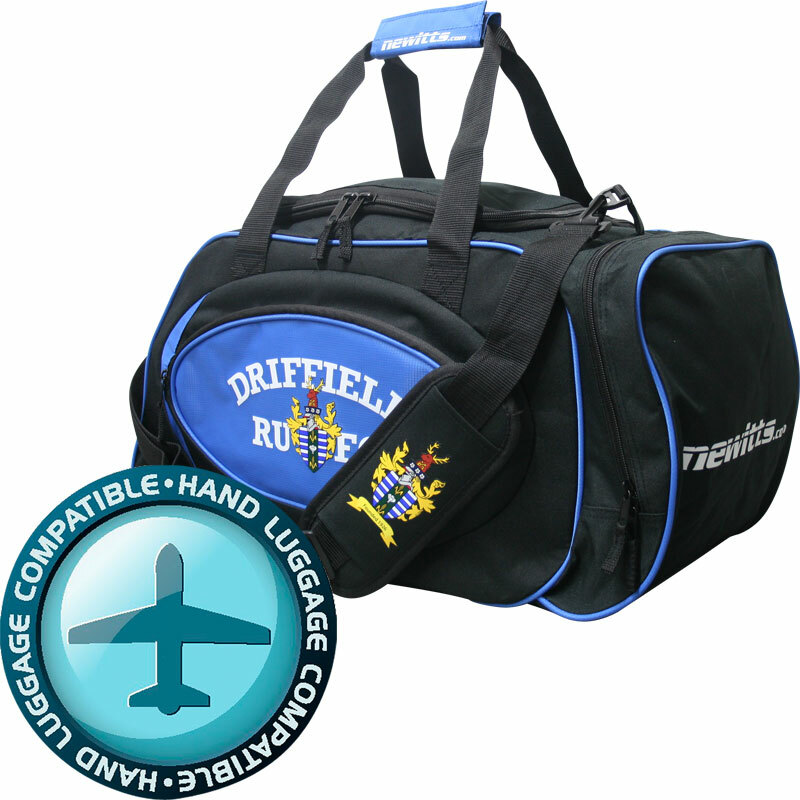 The Driffield RUFC Holdall is a heavy duty polyester bag, with one main compartment and also zipped side pocket. Excellent for carrying even the heaviest of sports gear. Zip closing compartments, to maintain security. Bag Dimensions - L54cm x H29cm x W28cm. Capacity Litres - 42L approx. Bought this as a present for our son who plays for the minis. Great bad with a few handy zip compartments and pockets to store gum shields etc. Would be even better if it housed a compartment underneath to store boots or trainers for after a game. Overall good value for money and a nice size. Bought for young son to use for Rugby. Great size to fit everything that he needs. Nice touch to have the Club Logo on it. All round good purchase!